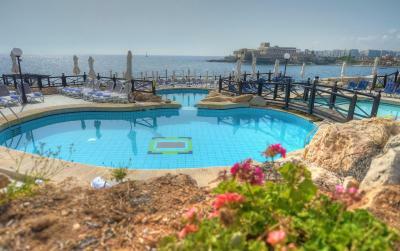 Lock in a great price for Radisson Blu Resort, Malta St. Julian's – rated 8.5 by recent guests! Comfortable hotel pleasant and cozy. The room was spacious and had a great sea front view. Breakfast was superb as well as the hotel's restaurants which were very good and more than reasonably priced. We go the room very early in the day and we were given the choice of nice late checkout. Location was ok. Shower pressure/working was lacking. Construction sound was not the greatest though it was stated upon booking. Food was good with a wide selection at breakfast and dinner and staff were helpful. General atmosphere. Excellent concierge service !!! The situation and standard of the Hotel and the staff are friendly and professional. 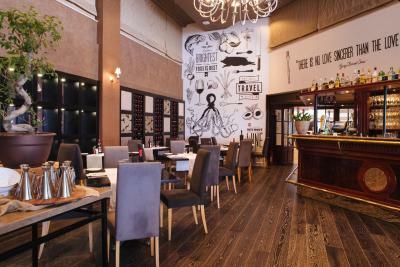 Food is of excellent quality , if it's not on the menu the staff will do their very best to obtain it for you. Rooms are clean , comfortable and quiet... Nothing is to much trouble.. The location is fantastic particularly if you are driving on your own or if you just want to enjoy a quite scenic sea view like me (nothing is blocking your view and the sunrise is amazing). St Julian’s Bay is just nearby and there’s plenty of clubs/restaurants/casinos. Staff was really helpful and the room was super cosy. 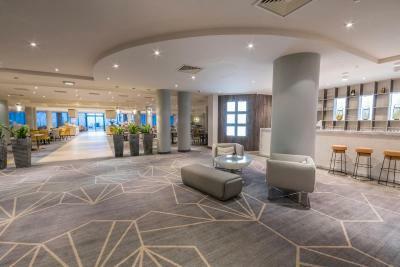 Radisson Blu Resort, Malta St. Julian's This rating is a reflection of how the property compares to the industry standard when it comes to price, facilities and services available. It's based on a self-evaluation by the property. Use this rating to help choose your stay! 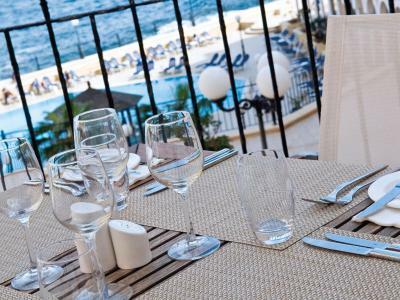 One of our top picks in St. Julianʼs.Set on the seafront in St. George's Bay, this 5-star hotel offers a quiet location in St. Julian's. 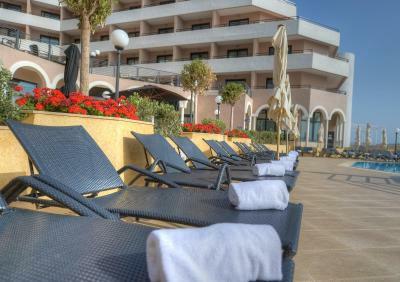 It features 2 outdoor pools, a heated indoor pool and rooms with free WiFi and a large balcony. Air-conditioned rooms at the Radisson Blu Resort, Malta St. Julian's all come with a TV, free tea and coffee making facilities as well as bottled water. 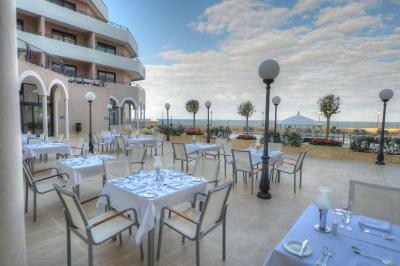 All rooms have views of the Mediterranean Sea. A selection of snacks, wines and cocktails are available at the Bridge. 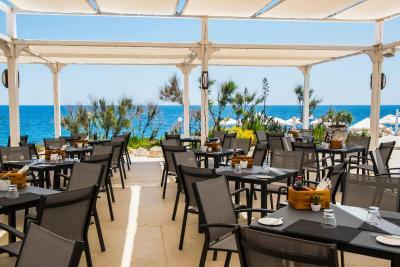 Breakfast is served at Kontiki, the buffet restaurant. 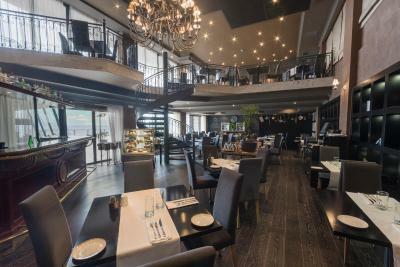 The resort's other restaurants, Le Bistro and The Edge, specialize in international cuisine. A bus stop outside of the property offers links to Valletta, 5 mi away. 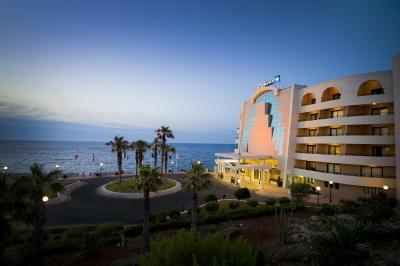 Malta international Airport is a 20-minute drive away. 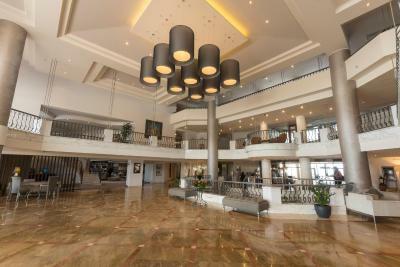 When would you like to stay at Radisson Blu Resort, Malta St. Julian's? Large room with wood floors and a balcony with sea view. It includes free WiFi, tea/coffee making facilities, and air conditioning. 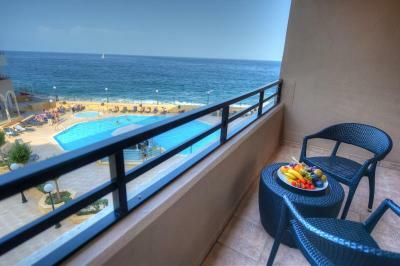 This suite features a large balcony overlooking the sea. It includes free WiFi and air conditioning. This large suite gives you lots of space with a bedroom, a separate living area. It includes sea views and free WiFi. Offering a balcony, this room comes with a mini-bar, air conditioning, and partial sea views. The private bathroom includes a hairdryer and free toiletries. This room features a balcony. Comes with 2 large double beds. This suite features a large terrace featuring a private hot tub and sea views. Offering a balcony with pool and partial sea views, this room comes with a mini-bar, air conditioning, and free WiFi. 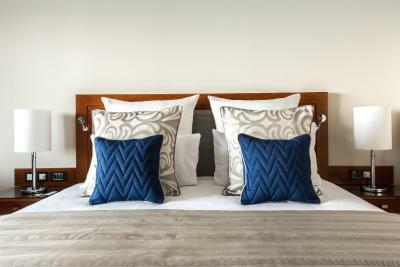 This suite features a sea-view terrace, free WiFi, air conditioning, a mini-bar and seating area. This spacious room includes a Nespresso® coffee machine and access to the Executive Lounge. 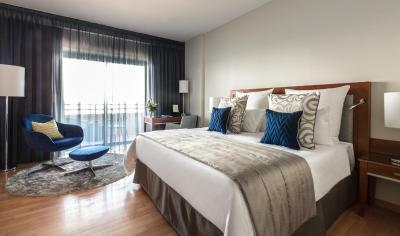 House Rules Radisson Blu Resort, Malta St. Julian's takes special requests – add in the next step! Any additional children or adults are charged EUR 70 per night for extra beds. Radisson Blu Resort, Malta St. Julian&#39;s accepts these cards and reserves the right to temporarily hold an amount prior to arrival. Radisson Blu Resort, Malta St. Julian's accepts these cards and reserves the right to temporarily hold an amount prior to arrival. Everything except for the construction. The hotel staff were so friendly and helpful. The spa treatment rooms had been damaged by a storm, but we were taken to the next hotel to use theirs which was lovely. Delicious food and comfortable beds. I’d definitely return. Sometimes it was pretty cold on the level 1. Also sauna didn't work properly. Hotel was in middle of renovations so some building work going on and not all facilities open. Rooms well appointed, super comfy bed, lovely sea view, excellent staff. The room on the rocks close to the ocean. The breakfast is superb and the rooms are spacious, comfortable and very clean. It is not the first time that I have stayed at the hotel and I am never disappointed. 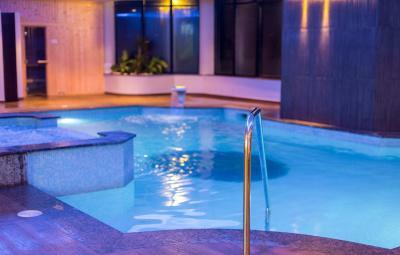 At the time of our visit the indoor swimming pool, gym and spa were all closed due to previous flooding. Although we were offered those facilities in a nearby hotel but we did not utilise them due to inconvenience. Nice clean hotel and friendly staff. Our flight timings were such that we needed early check in and late check-out, which were arranged by the reception without any hassle. Clean room and bathroom. Nice comfortable bed and bathroom fittings. Quick and responsive room service. Strong wifi signal. Restaurant was good in hotel and staff extra helpful. Breakfast not much option for non pork eaters, swimming pool, spa, indoor pool were closed. They were busy with renovations and the pool and spa was closed. This should be mentioned when a booking is made. We didn’t like not being told in advance of booking the hotel the severity of storm damage to the spa and hotel. We booked this hotel for the spa and facilities. The local taxi driver told us about the storm damage on way to hotel which made us both anxious about staying there. Sea view room, good night sleep. The executive suite number 641 was so ugly and the sofa broken! everything was so different than what I choose online... we were so sad and we asked to change that and supervisor was not very nice and said just no possibility.... for that’s price, it’s Was frustrated and disappointing ! The pictures online doesn’show the same room suite, sorry! Yes I booked 3 suites room for my family and the 2 suites ( number 645 and 720) was what I waiting for ... However, my room 641 was the worse than my all experience.